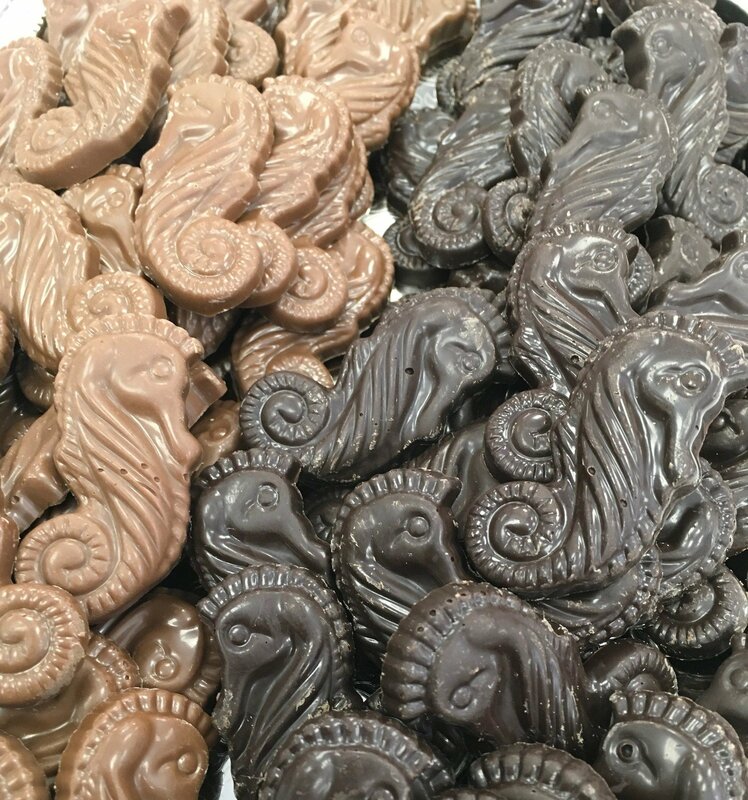 F - Chocolate Sea Horses. Peanut and Gluten Free. 60 to a Lb.